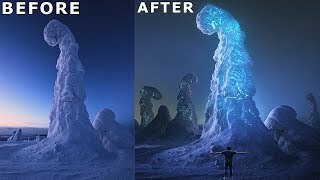 Change the shape of an Ice mountain into some fantasy glowing massive object. Good work man, Go on! Very good editing you did, thanks for sharing your knowledge.